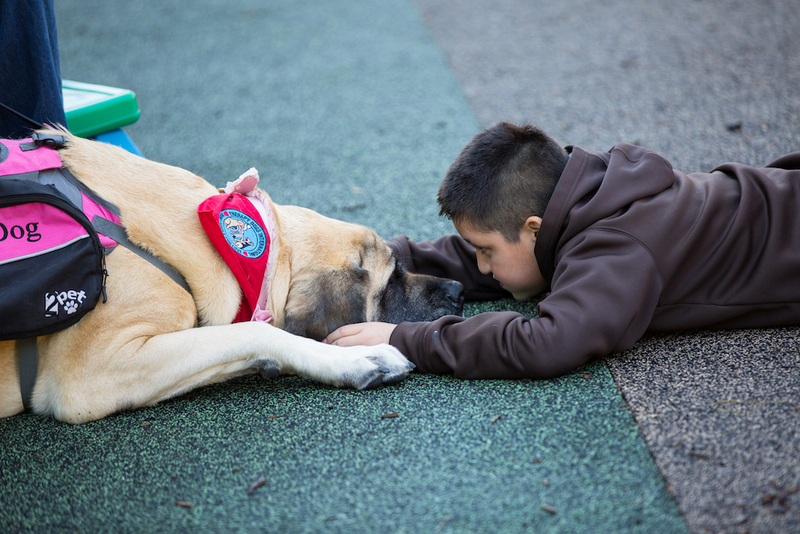 Therapy dogs are trained to provide affection and comfort to the children participating in CFEC programs. Our therapy dogs come in all sizes and breeds, and are incredibly friendly, patient, confident, gentle, and at ease in all situations. Our furry friends enjoy human contact and are content to be petted and handled, sometimes clumsily. Often times our therapy dog’s primary job is to allow people to make physical contact with it and to enjoy that contact. During our monthly ‘dog days,’ our students particularly enjoy hugging and simply petting the dogs.